In light of all the fake news and blatant media propaganda being published these days, I think it's important to remember how little diversity of opinions there are amongst our 'independent press'. A survey done in 2013 found that most shills hide under the cloak of 'independent', with about 30% calling themselves democrat. 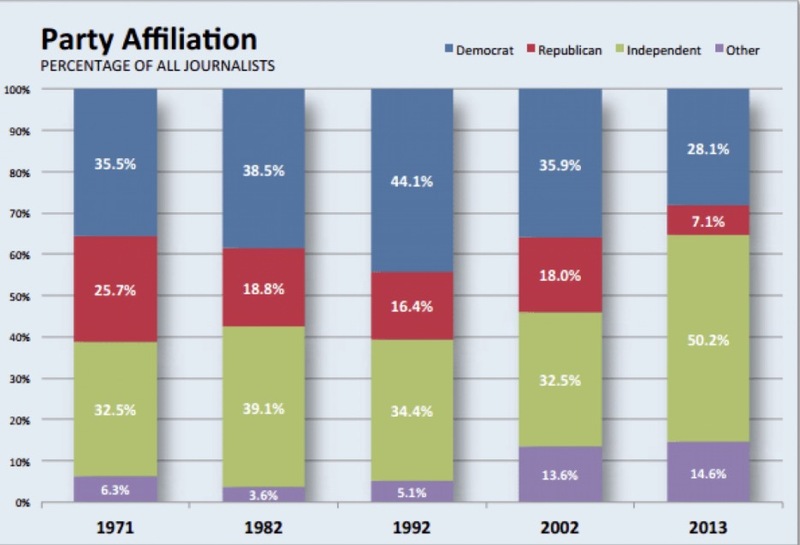 You can see how this trend has disjointed over the decades, with republicans being systematically removed from the sacred 5th estate. With merely a handful of so called republicans in America's newsrooms, how can they honestly call themselves a 'free press', when in fact they're nothing more than democratic advocates shilling for their ideologies? 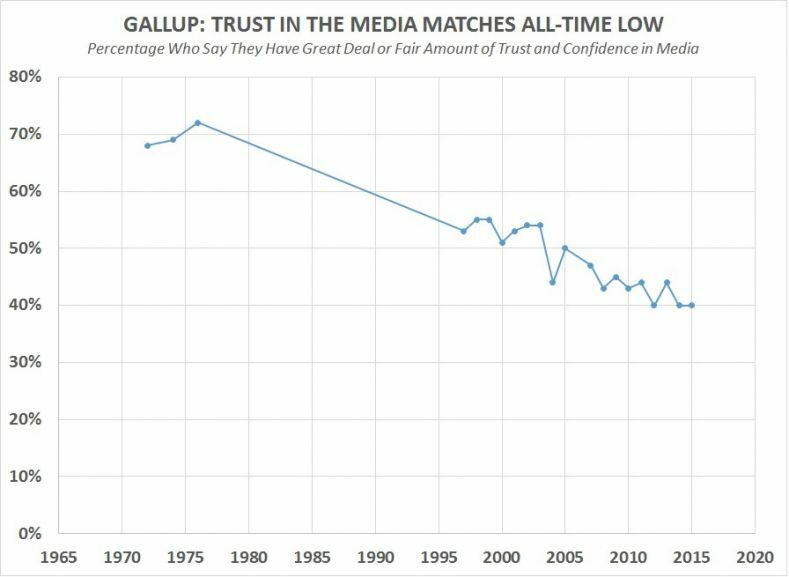 Incidentally, America's trust in their media has correlated very closely to the lack of political diversity in her newsrooms over the decades. I suppose when you completely abandon principles for party, casting aside 50% of your viewer/reader base in the process, that's not exactly a sound business model for journalistic success -- judged by public opinion. Then again, do they even care? This entry was posted on lundi 20 mars 2017 at 17 h 51 and is filed under Liberté d'expression. You can follow any responses to this entry through the RSS 2.0. You can leave a response. Did Trump Secretly Win Trumpcare Debacle? "Reliable Sources" RT discussion ? Govt program spent millions doing WHAT?